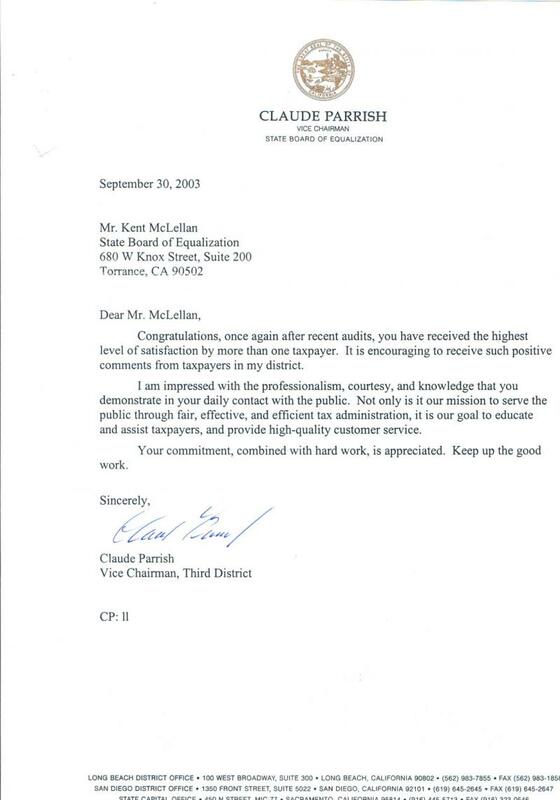 While still working for the Board of Equalization I received the letter below. So even while representing the BOE, many of the business being audited went out of their way to offer compliments on the professionalism of my work. Congratulations, once again after recent audits, you have received the higest level of satisfaction by more than one taxpayer. It is encouraging to receive such positive comments from taxpayers in my district. I am impressed with your professionalism, courtesy, and knowledge that you demonstrate with the public."